In 1967, NASA developed a mission to send men to Venus. But before getting into the proposed manned mission, it’s worth stepping back to look at the state of NASA’s knowledge of Venus and its understanding of the interplanetary space a mission would have to go through to get there. Before this manned mission proposal, NASA had only sent one mission to Venus – Mariner 2. 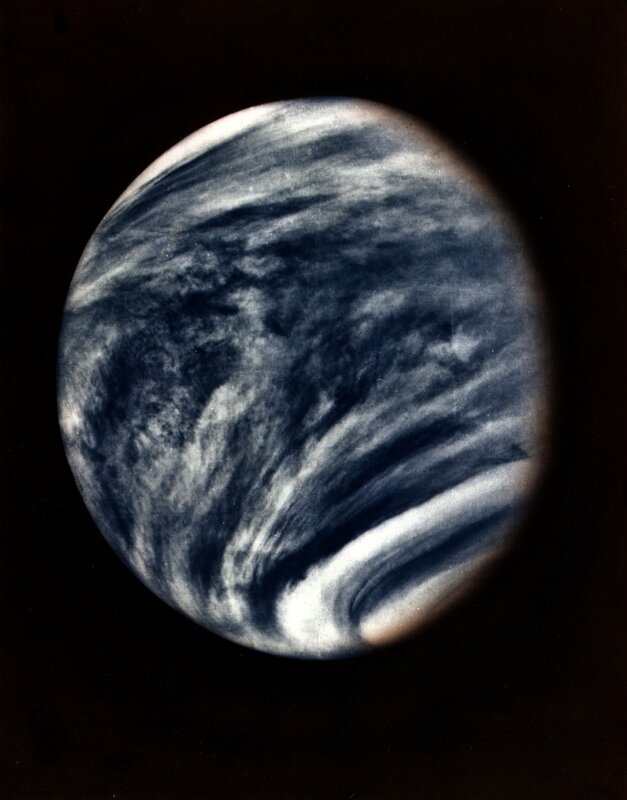 Venus as a habitable world – and every planet for that matter – became a focus in the late 19th century. In the wake of Darwin’s On the Origin of Species, scientists were quick to apply evolution to every world. If life arose on Earth, why not everywhere else? Orbiting closer to the sun and under thick clouds assumed to be made of water vapour like those on Earth, many imagined Venus as a swamp-like world. Its equatorial region was likely too hot for humans, but its equivalent of subarctic regions were thought to be quite pleasant. The chance came in the 1960s. The dawn of the space age saw three separate races between the major players – the Soviet Union and the United States. Most popular is the race to put a man on the moon, but both countries were also racing to land a probe on Venus and Mars. In 1962, NASA began cutting its teeth in interplanetary space with the Mariner program. The first target was Venus. Mariner 1 failed soon after launch, but Mariner 2 was a striking success. But the spacecraft’s time near the planet was short. It was a fly-by mission; it wouldn’t go into orbit. The whole mission only gave Mariner 2 only a 45 minute window in which its microwave and infrared radiometers could measure Venus directly. The rest of its life would be spent in interplanetary space. Not wanting to waste any mission time, four other instruments on board gathered data on cosmic radiation and magnetic fields. Mariner 2 launched August 27, 1962. Two days later, it was happily settled on its Venusian trajectory. Its cruise experiments were functioning and the spacecraft had established strong communications with Earth. Data was flowing back to NASA. On December 7, Venus’ gravity began exerting a pull on Mariner 2 for the first time. A week later, the spacecraft made its short fly-by. After 109 days in space, Mariner 2 came within 21,645 miles (34, 854 km) of the surface traveling at 4.19 miles per second (6.743 km per second). 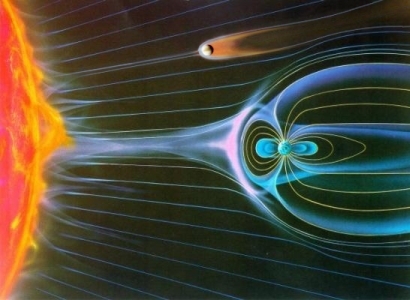 Its microwave and infrared radiometers sprung to life. Both Mariner 2’s infrared and microwave radiometers observed limb darkening. Venus’ surface was hot, and the tropical paradise theory took a big hit. Limb darkening was only the beginning. Venus was an oven. The temperature on Venus’ sunlit side was 187 degrees Celsius (367 Fahrenheit), its dark side was 127 degrees Celsius (261 Fahrenheit), and along the terminator (the zone where the light side gives way to the dark) was 296 degrees Celsius (566 Fahrenheit). Measurements of Venus’ atmosphere found very that carbon dioxide had very little effect on the sunlight reflected from the planet. Since scientists knew from Earth observations that Venus’ clouds were composed largely of the gas, its small effect on light meant that the sunlight Mariner 2 was analyzing was bouncing right off the cloud layer. Had it been coming through the clouds from the surface, the absorption of carbin dioxide would have been much stronger. 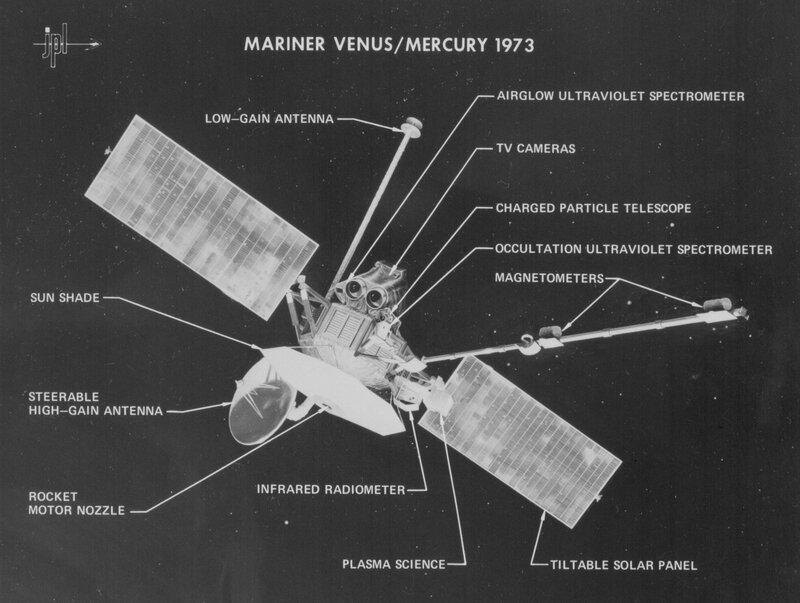 Mariner 2 also found that Venus didn’t have a strong effect on any charged particles in interplanetary space. 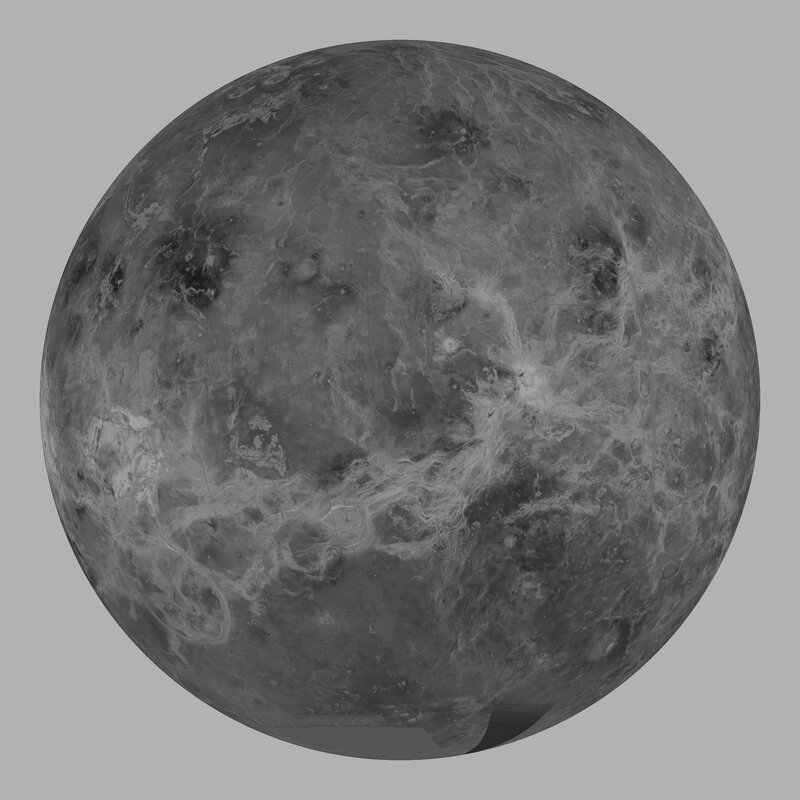 The mission also helped scientists determine Venus’ mass. It was found to be the closest in size to Earth with a mass a little more than o.8 times that of Earth. 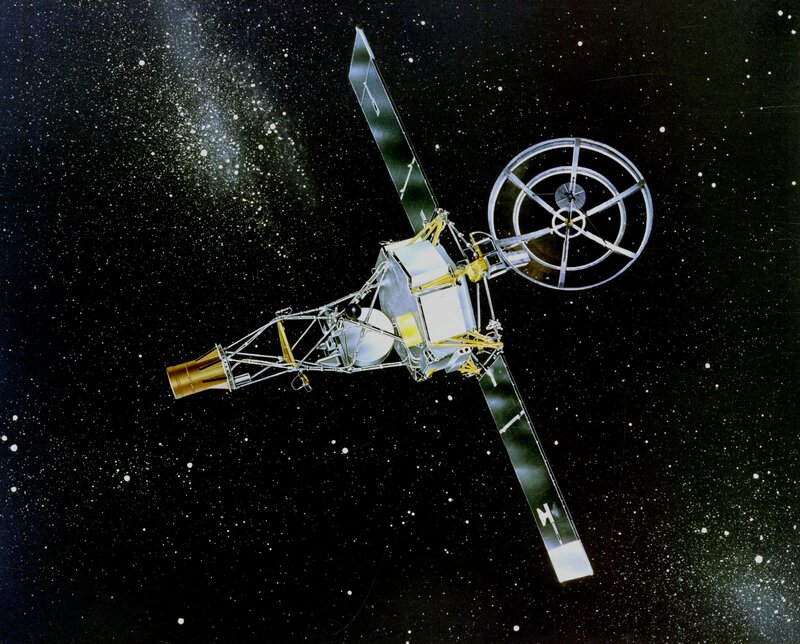 Mariner 2 continued to send data back to NASA after the fly by. But the organization lost contact with the spacecraft in January 1963. It failed to respond to 50 commands sent in one day. Subsequent efforts in May and August were equally unsuccessful. Mariner 2 is silent now, somewhere in a heliocentric orbit. 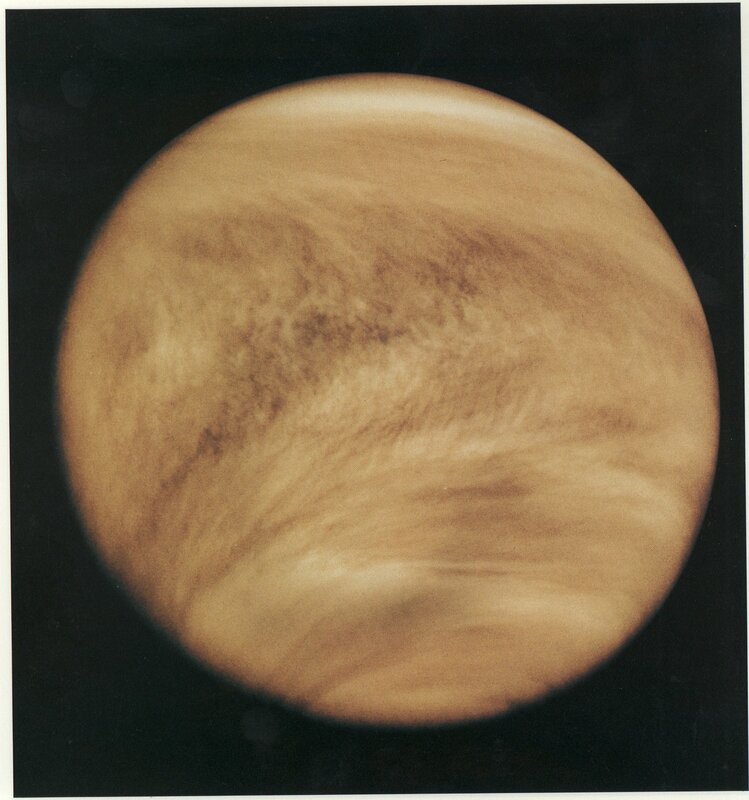 The Soviet Union, on the other hand, turned its attention to Venus in the mid 1960s. After experiencing the first of many failure on Mars in 1962, it pursued a landing on Venus and the return of surface images as the ultimate goal. Venera 9 accomplished these goals in the early 1970s. NASA’s final report on Mariner 2 was published in 1965. It answered a lot of questions, but also asked many more. 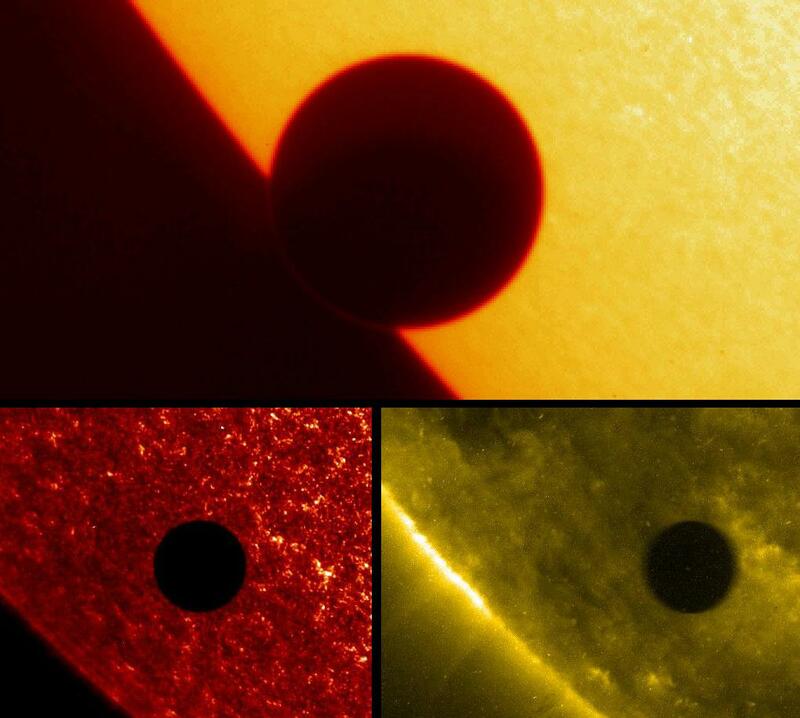 With this as the primary knowledge base, NASA began looking into the possibility of a manned mission to Venus. The idea was to build on Mariner 2’s findings and at the same time prove that humans are capable of long duration spaceflight. The manned mission to Venus is a daring and fascinating proposal that really deserves to be treated on its own. I’ll give it my undivided attention in an upcoming post. 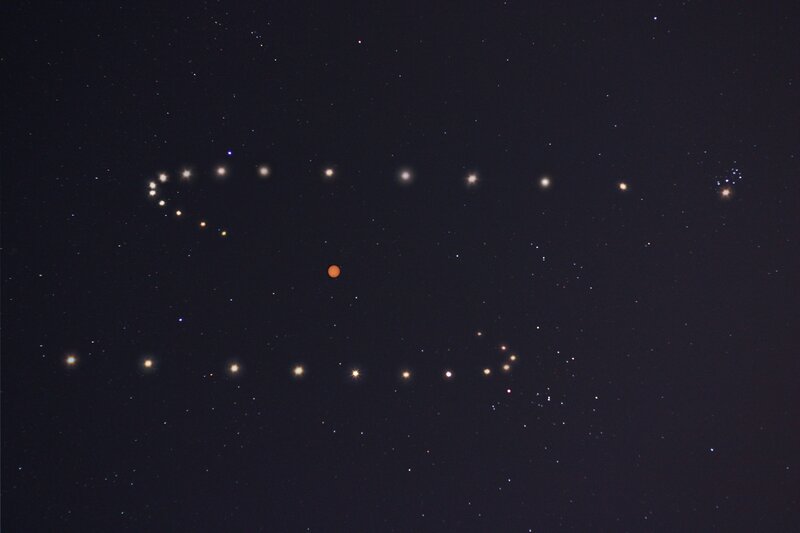 Venus traces out an S in the night sky in April 2004. Richard Corfield. Lives of the Planets. Basic Books: New York. 2007. Mariner-Venus 1962 Final Report. National Aeronautics and Space Administration. 1965. Why exclude the USSR contributions to the exploration of the planet? The article seems incomplete and lacking spirit. Tom, if you had of read the title it would be obvious that this article focus’s on NASA’s explorations of Venus and if you were paying attention, the article also supplies a link to a previous post about the Soviet explorations of Venus. @Tom I was wondering the same but the article title is “NASA’s First Interplanetary Journey”. It is however well written and very interesting but it would be nice to see the USSR’s missions to Venus in a follow up. I didn’t know about the “limb darkening” analysis before, very interesting. Looking forward to the manned mission to Venus post. Great post; another scientist of note worked on the Mariner 2 mission to Venus, a young Carl Sagan. Looking forward to the “Mission to Venus” follow up post!